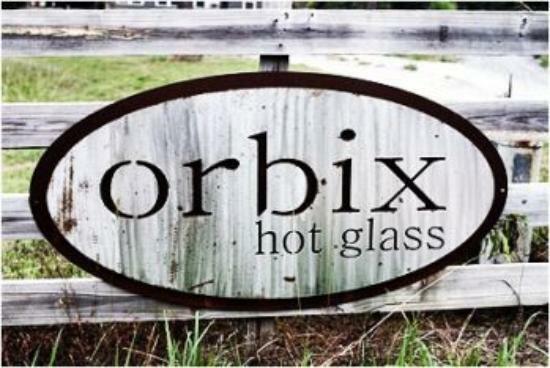 Today I went back to Orbix Hot Glass. It is a small glass blowing studio and gallery hidden away on twenty-six acres bordering the Little River Canyon National Preserve in Northeast Alabama. Located in Cherokee County, it sits on the humble Alabama mountain where the owners Cal and Christy first met and fell in love. The whispering woods provides a magical backdrop to the beacon of art and inspiration. On my first trip to Orbix, I created a delicate hand crafted and designed flower. It was colorful, lively, and breathtaking. The courteous and friendly staff help you become accustomed to the process. Usually, I work with forging metals or shaping wood. When I first started shaping the fragile material, I treated it delicately and watched the wonder of the melted material take shape and harden with such awe. I placed the flower proudly on my mantle and later displayed it upon my desk among several other treasured items. One day, someone knocked it off the desk shattering the stem into hundreds of glass pieces. I still have the flower head, and I intend to come up with a way to display it in my store alongside some of my other artwork. 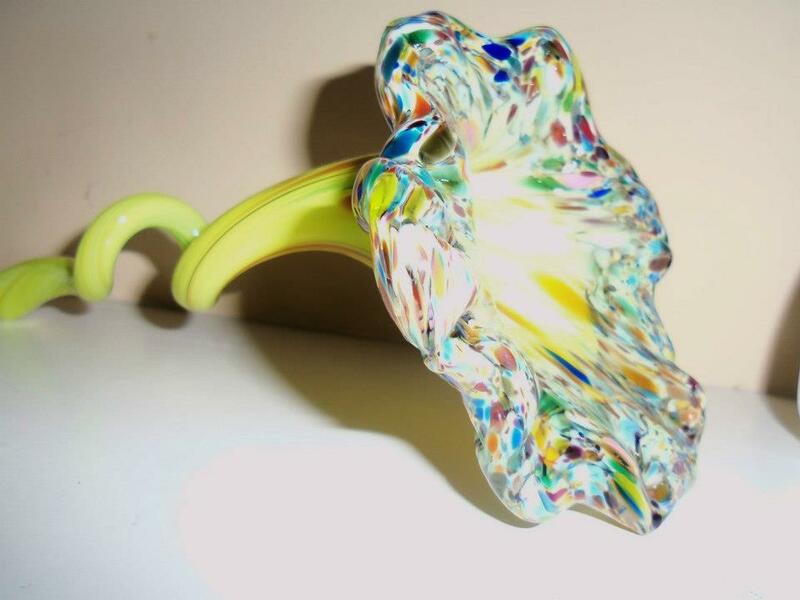 When I went back to the studio today to make another glass flower, I intended to make one comprised of warm tones. When I got there though, somehow I felt differently about it and imagined up a cool shade flower. I left it at the studio to anneal (cool slowly to harden). Afterwards, the artists and I sat on the porch, relaxing and talking over business and the creative process completely making me feel at home with the charm and southern grace sitting on a porch in Alabama allows. I highly recommend visiting Orbix. You will not be disappointed by the array of colorful glass art or selection of functional glassware in the gallery. It is all hand made and one of a kind.